"I wish that the hospital we go to in Houston offered valet service to their patients and visitors." 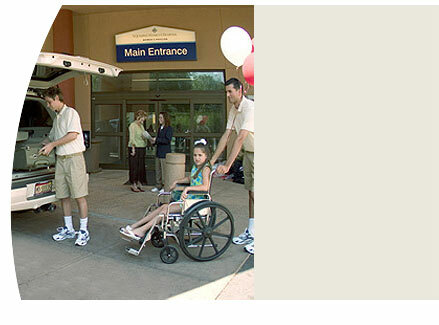 Hospitals, out-patient clinics, and other healthcare facilities have special challenges providing valet parking, and general parking solutions for their patients and other visitors. Hospital Parking Management has years of experience providing professional valet parking, parking management, and shuttle services to exceed those challenges. Our parking attendants provide the first and last impression at every hospital we staff. Through a multi-step screening process of new hires, as well as a customized training program, HPM insures that patients and visitors to your facility will have a positive experience.